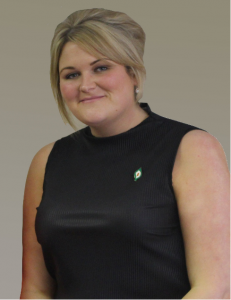 Sinn Féin Councillor Joanna Byrne has welcomed the passing of her Drogheda Council motion calling for additional homeless services to be provided in Drogheda to facilitate those with entrenched Alcohol and Drug issues. Speaking at the meeting, Cllr Byrne said whilst she recognised the phenomenal work Louth County Council and their Homeless liaison team do, she felt there was “an over-reliance” on the NGO’s in the town at times. “This Council calls for a Homeless Hostel in Drogheda to assist Homeless people with entrenched Alcohol & Drug issues. 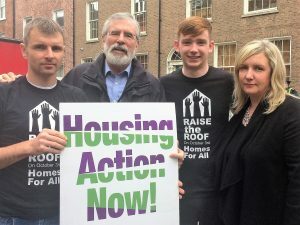 Louth TD Gerry Adams was joined by Councillor Ruairí Ó Murchú and Cllr Anne Campbell on Wednesday outside the gates of Leinster House for the Raise the Roof rally to protest at government failure to delivery social and affordable housing. This year, fewer social homes owned by local authorities and approved housing bodies will be delivered by the Government than last year. The Minister for Housing and his colleagues constantly parrot the claim that their plan is the only plan – that there is no alternative. Yes. There is. Sinn Féin’s housing plan in our Alternative Budget 2019 proposes the introduction of a temporary tax relief for renters in tandem with a three-year emergency rent freeze. Sinn Féin would also increase investment in social and affordable housing and tackling homelessness. This is one of the many difference between Sinn Féin and this government. We believe that citizens have the right to a home. This government doesn’t believe this”. The Taoiseach has a duty to uphold the rights of people in the North not to attack them. He also knows the efforts Sinn Féin have made and the reprehensible way the British government and the DUP have responded by refusing rights which he knows are being denied at this time. He knows the disrespectful way they treat him and the Minister for Foreign Affairs. This has nothing to do with the housing crisis, with the housing emergency in this state, but it is proof how this government responds in a dishonest way and this brings the Taoiseach’s office into disrepute and adds to the sense – and we saw this in the streets earlier on – that this government doesn’t really care about the homelessness crisis. He also knows the disrespectful way they have treated the Irish government. So for him to respond in this dishonest way brings the office of Taoiseach into disrepute and adds to the sense that this government does not really care about the homeless crisis”. Councillor Ruairí Ó Murchú said: “There are thousands of households on the housing waiting list in Louth. Without the construction of significant numbers of quality, and affordable public housing many will languish on that list for years. We are in the midst of an unprecedented housing emergency. It is a crisis that has this Government has refused to confront. The current housing crisis is entirely government made. Since the government published its ‘Rebuilding Ireland’ strategy homelessness has increased by 60%, child homelessness has increased by 77% and pensioner homelessness has increased by an unimaginable 80%. All of this has occurred despite the Ministers efforts to fiddle the homeless statistics, including an instruction to Louth County Council in May to exclude 100 homeless households”. Sinn Féin TD for Louth Gerry Adams has urged people from Louth to support the ‘Raise the Roof’ demonstration which will take place at Leinster House on 3rd October at 12.30pm. “The Raise the Roof rally unites political parties, trade unions, student’s unions, housing agencies, community and campaign groups who share the same aim of demanding action from the Government on the housing crisis. “In the past week we saw how Fianna Fáil TDs, including Declan Breathnach, sided with the Government and private developers against those in housing need. 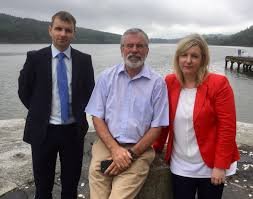 “They failed to support the Sinn Féin motion of no confidence in Minister Eoghan Murphy, a Minister who has presided over unprecedented levels of homelessness and who consistently refuses to regulate the rental market. “Sinn Féin will publish its alternative Budget on Tuesday 2nd October. In it we have budgeted for a 3 year rent freeze and tax relief for of 8.3% per annum for renters for 3 years. This amounts to one month’s rent back per year. “In Louth the average rent price was €905 in 2017. This year it has risen to €983 per month. People in Louth are on a treadmill of working simply to fill the coffers of their landlord. “Our proposals are fully costed. Sinn Féin has the political will to deliver for people who are struggling, people currently locked out of the housing market. “Minister Eoghan Murphy has now been in office for a full year. Despite claims of progress the housing figures for last month are evidence of a Minister failing to do his job. Last June there were 115 homeless adults in the North East region of whom 110 were in Louth. There were 14 families and 40 children. 12 months later the number of homeless in the North East region has jumped to 129, of whom 125 are in Louth. There are now 24 families and 54 children. This is a significant increase which would have been greater but for the Minister’s instruction to Councils to exclude some categories of homeless on spurious grounds. Across the state there are now 9,872 homeless persons – an increase of almost two thousand on this time last year. June has seen increases in the numbers of families and children accessing emergency accommodation in Louth and in the state. Once again Sinn Féin Councillor Joanna Byrne has called on Louth County Council to clarify the county’s status in regards to homelessness. Joe McGuinness, Director of Service’s for Housing in Louth recognised Cllr Byrne’s concerns and assured her he would look to rectify the report for the next meeting.